So the time has come again. It’s time to air my dirty laundry, er, unfinished quilt tops, in hopes that it motivates me to get some of these finished! I wrote a similar post a little over a year ago, and I’m sad to say that several of those quilts shown then remain unfinished. And of course many more have been added to the list. It’s time to get some quilt backs made! Want to see what’s in the unfinished quilt closet these days? I spy some favorites up there! Then there are a few that I hesitate to quilt for fear of not doing them justice, and a few that I’ve fallen out of love with. But I would love to see them all finished, and now that they’re all rounded up here, I’m going to do my best to cross a few off the list! As before, any votes on what to start with first? 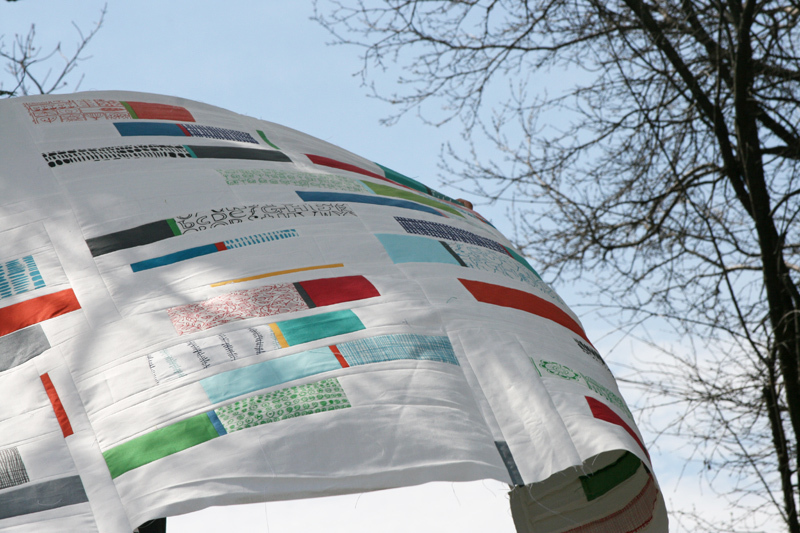 And of course, if you have your own embarrassing list of unfinished quilts, do share! 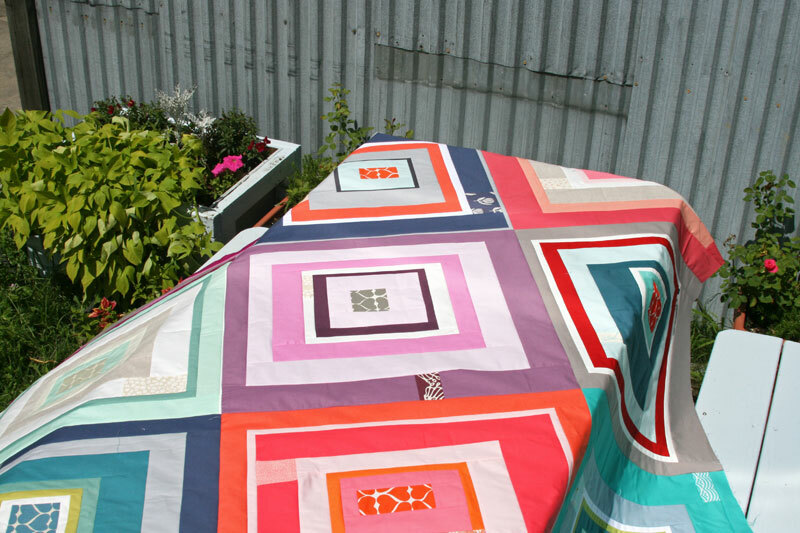 This entry was posted in Fabric, Posts about Quilts and tagged quilt tops, unfinshed quilts. Bookmark the permalink. Ashley, your quilts are all beautiful and your children even more so! I’ve NEVER answered or posted ANY comments on anyone’s blog. Call me a tentative 63 year old when it comes to blogs. But I’ll answer your question: l. Start with the Timbrrr one, because Christmas (December) will be here before you know it. 2) Next do one that you could use as a giveaway…..a birthday or Christmas gift, or even charity. 3. You’ll be warmed up by now, and ready to tackle the one you love the most. So do it next. By the way, I am a friend of teaginny’s, from way back in the days when she learned quilting as a teen ! I think you have a great idea for what to do first! I do love the around the world so I’d probably do that one as a favorite! Happy quilting! I agree with you, start with the timbrr and then move on from there… the ones you aren’t fancying should be done soon just to get them out of the way and maybe you’ll fancy them again when you’re done! Start on one of the hooked hexagons. 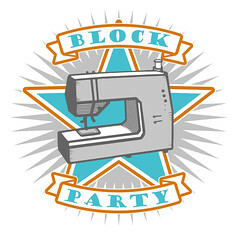 Should be easy quilting and a nice one to give away or sell. I am in love with the graduated rainbow quilt! Love Jam On and that grey and pink improv is AMAZING…. Yep! You need to get on with it. 😀 I vote for Timbrrr! to start, just because I really like it, but Christmas around the corner is also a good reason. And then Jam On. I am in love with the Pink and Grey one so I’d vote for this one. I really really like Jam On too so that would be my second choice ! That’s nothing! I’m still in the 30s for UFOs. If you have tops you don’t like anymore and are willing to let go keep an eye on charity drives. 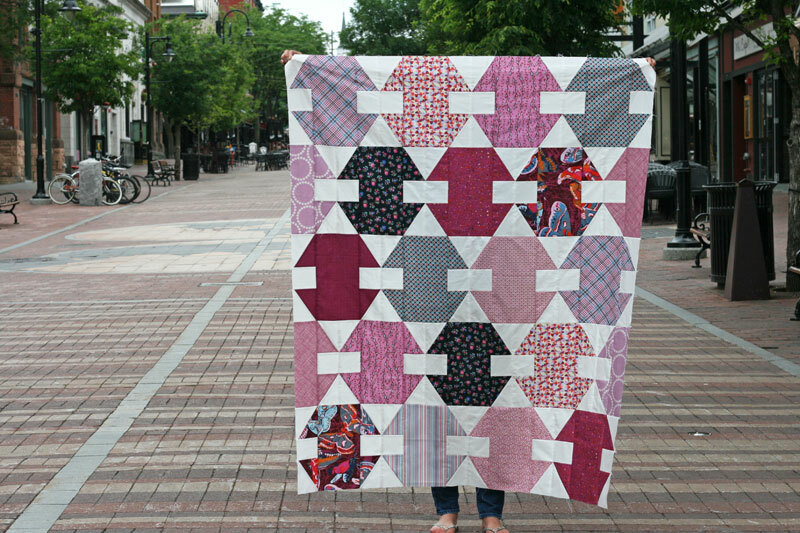 For example, after the flood here this summer you could donate tops, not just finished quilt. Everyone of these quilt tops are beautiful! Thank you for sharing! My embarrasing pile is not unfinished, but yet to be started!! I need time to dig in, and a dose of courage. If it were me, I’d start with a sure thing first – one with a clear idea of what to do. Then as you get into it the others will fall into place. They are all beautiful – but improvs are my fave. Good luck! You are my hero! Love to see other WIP’s. A plan…I would start with the half square with straight lines. Love straight lines. Then set a deadline of one a month. That way you can still do other fun things in between. Thank you for the opportunity to plan someone else’s life. My plan, not working so well, but sort of on track. Last two first. Love these so much. Wow, those are some beautiful quilts! I think I would start with Timbrr so that you can enjoy it during the coming Christmas season. Wow! I can’t decide…too many to choose from BUT if I had to choose I’d pick the “Improv Solids”. I’ve been wanting to do one myself so now call me “inspired”! Thanks Ashley for sharing your work! The swoon, the churn dash, the graduated rainbow and the trip! I love them all and it would be so fun to see them finished! I love these—especially Graduated Rainbow, Breakout, and FMF on Point. 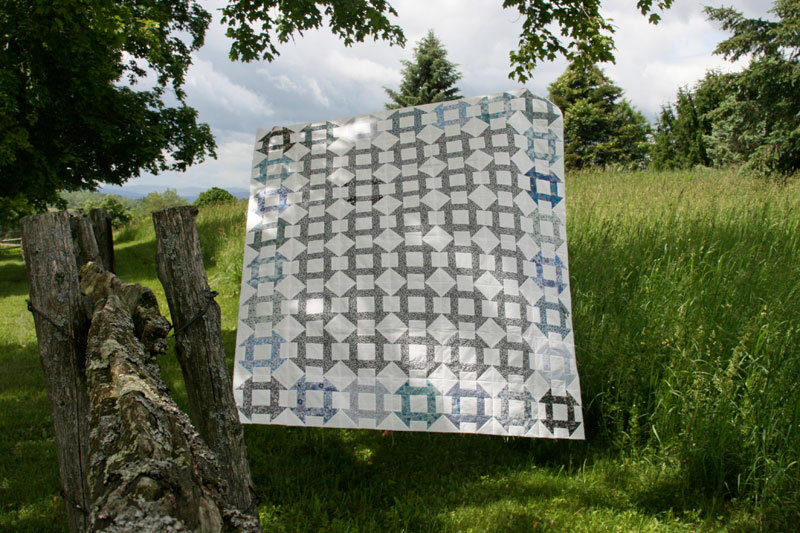 Get these quilted, they’re too gorgeous not to enjoy as quilts! That pink and grey improv is fantastic! Quilt that FMF On POint and get it on someone’s bed! I’d have to vote for Jam On (I have my own unfinished Trimmings top waiting for me), FMF on point and FMF Swoon. The fabrics are too pretty (one of my all time favorites) to not enjoy. Best of luck to you getting these done! Love them all, but especially the pink and grey improv one, so I would start with that one! Pink and Gray improv! It’s one of my favorites of yours. I would start with either the oldest or the least favorite and get it over with! Jam On is my favorite. LOVE it. Hmm…all so lovely. I’d start w/ improv solids, pink/gray improve or the FMF on point! Oh goodness! What would work for me would be to first do one I love, but which would work with straightforward quilting. A Colorful Trip or Half Squared. And then I might do a few in a row of those which I didn’t love so much, to give away. And then what? Re-evaluate. My favorite of all these WIPs is Liberty Churn Dash. Thank you for sharing! Ah–so you are not alone! You have me beat in the number of unfinished quilt tops tho’. 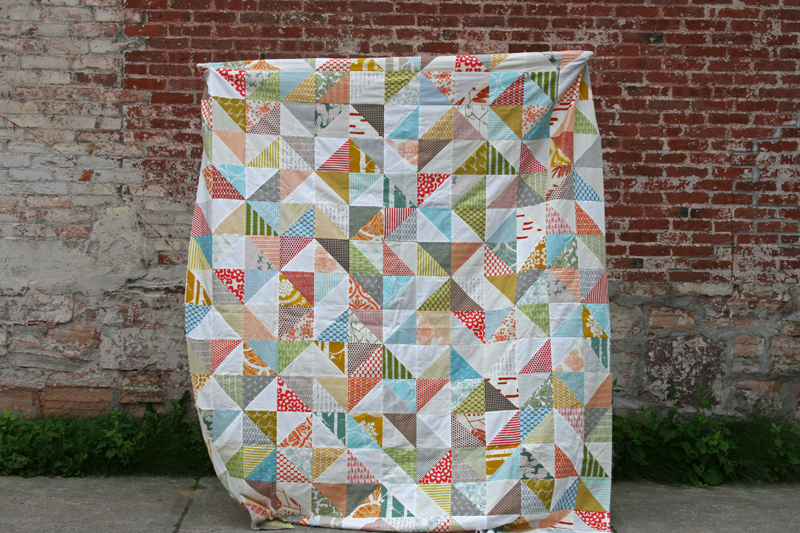 I am fond of your Liberty churn dash–I’d love to see what quilting magic you do with that one. Jam on, breakout, pink and gray improv! Love, Love, Love! Love them all but think Liberty Churn Dash is my favorite. It is good to know that someone who does the beautiful work you do can still have those extra tops that aren’t finished just yet. Breakout is my fav, so I’d love to see that quilted. Okay, you win for having the most UFOs, and I’m impressed that the tops are all completed. Most of my UFOs are still half cut/half sewn with the remainder of the fabric lost somewhere in my stash. Thanks for more inspiration…oh, oh. Your children are gorgeous. Some lovely quilts there. I would do the pink grey first and then the Christmas one. I would also say that an easy or smaller one might get you enthusiastic enough to do more than one. Good luck. I love your swoon and liberty churn dash – start with those :-). If its a small consolation, I feel better that my half finished quilts only number 5, but one of those was started in 1989!! All are lovely. You have an awesome sense of color, movement, and balance and take great photos, which makes your blog great fun to visit. 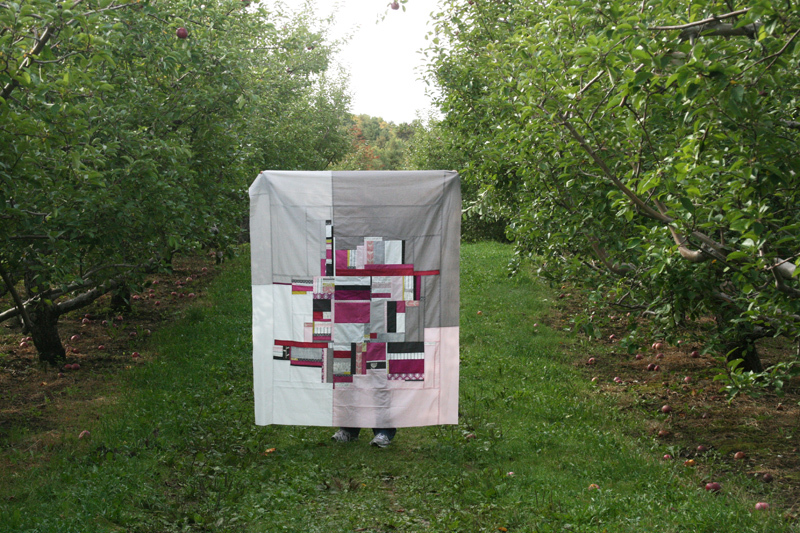 All of your quilts inspire me but I’ve always enjoyed Half Squared – love the use of larger prints and negative space. Good luck! All are absolutely beautiful.Hard to choose only one…mmmmmmmm I`d star with Pink and Gray. I love how you use color and your choice of fabrics.Yes,I do have tops that are waiting to be finished. It’s so fun to read the comments and realize everyone has a different favorite! Mine are the solid improv, scrappy trip and the two FMF ones. They are all great. Beautiful and inspiring work! So I would do those first! You have lots of beauties to play with but I would start with either the smallest or the one that you think you will finish the fastest. This will give you a sense of accomplishment and spur you on for the next one. After that, I think I would do 1/3 of the largest and/or hardest one, then a smaller one, then another 1/3, until all of a sudden you’ve finished 4 whole tops! Good luck! If I lived next door I would bind them for you. I love binding! 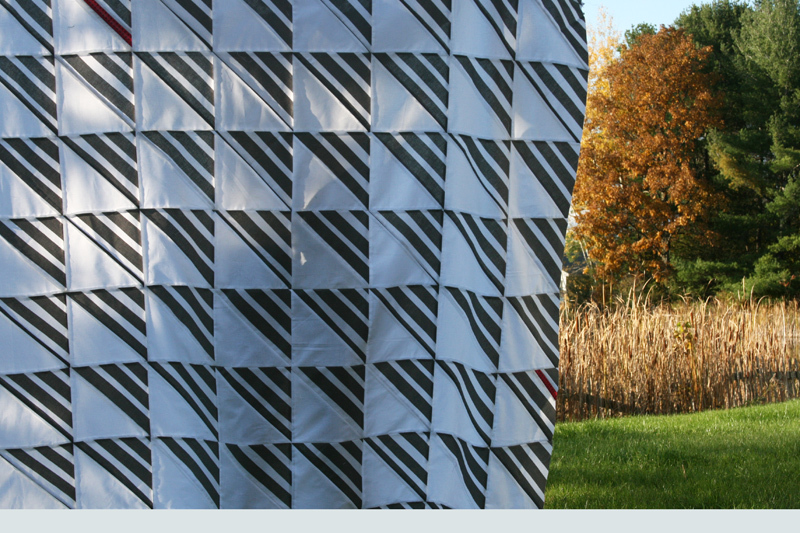 Those are really nice quilts, especially the denyse schmidt’s one. Compared to your finished quilts, these are nothing. But if I have to vote for which ones to attack first, I would say the last two. I would love to see the backing you use for the pink and gray improve. Wow, they are all so nice! Picking any of them to begin on would be a success! I love Jam On, Improv Solids and Graduated Rainbow but honestly they are all stunning. If I had to choose one to start with I pick one that should be quick to do, just to get you an easy tick off on the list. Such lovely tops–good luck finishing them! You made me feel better about my UFO pile. I don’t have children still at home and I have retired from working at the library. I have been working this whole year on getting projects done. In the process I have decided that some UFO’s don’t deserve my time. Our quilt guild has a give away table at meetings. I think I will toss some of these projects that are half done w a photo copy of the pattern out and see if someone else will love it. 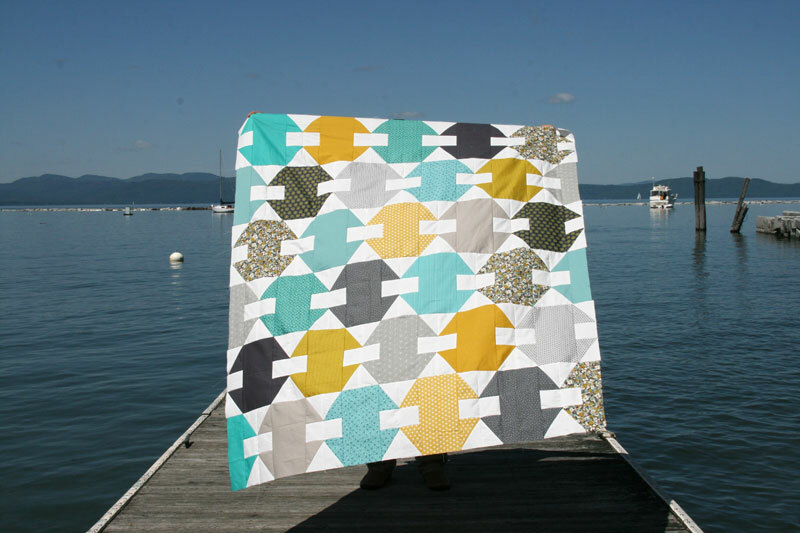 I love your Hexagon and Churn Dash quilts. love that scrappy trip! made one for my nephew this year, now i need to make one for meee! started the year with 13 ufo, down to six. cant go long without starting something new, so right now i alternate, one ufo, one new, one ufo, …it is working for me! cant wait to see more! They are all beautiful! I especially love the trip around the world, it’s a happy quilt. oh i can’t decide which ones i like better! so much fun. you’re amazingly talented! FMF on point is my favorite. Start there! Then I’d move on to Timbrrrr in time for Christmas. They are all so lovely though, you can’t go wrong. Thank you for sharing. Your blog is one reason I got back into sewing and even made a half square triangle baby quilt for my boss a few months ago. Thanks for the inspiration (even though it came with fabric additction and too many fabric purchases… heh heh). The most practical one to start with would be Timbrr because Christmas is around the corner and wouldn’t Baby’s First Christmas picture look great on that quilt! However, my favorite is the Liberty Churn Dash. It’s beautiful! All of them are beautiful, so you can’t go wrong! Oh, my goodness, I have an even longer list of unfinished tops. On my sidebar on my blog I list them all with links — I think I’m at 45. There’s a valid reason for why this is, but at the same time, it needs to be rectified. Your list looks a little more manageable. Oh, Half Squared is my favorite. 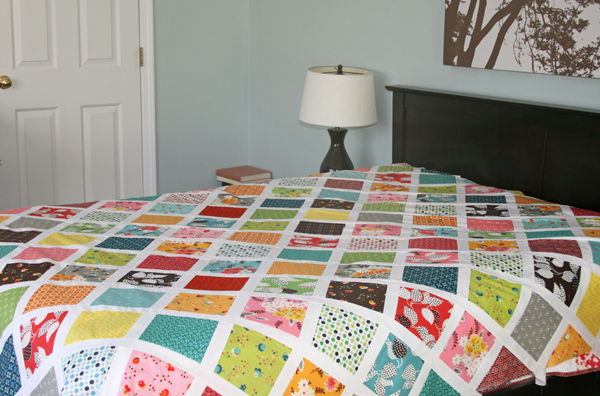 You could do a whole room around that gorgeous quilt! I have followed your blog for quite some time, at least through a couple of babies. 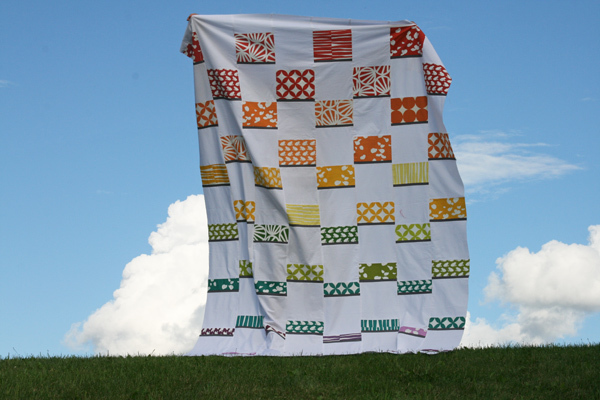 I am a longarm quilter and I’ve decided you need a longarm! 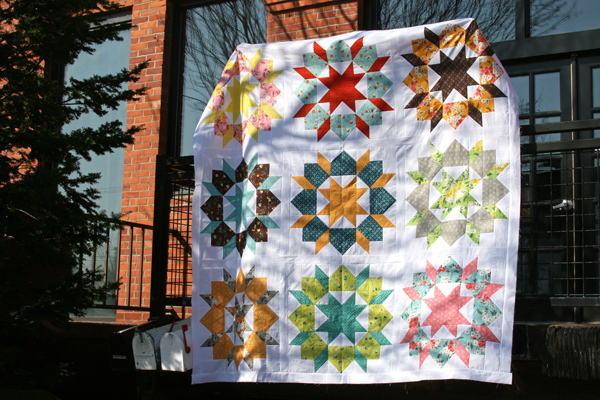 Then, in your spare time ;), you could finish all those beautiful quilts!! 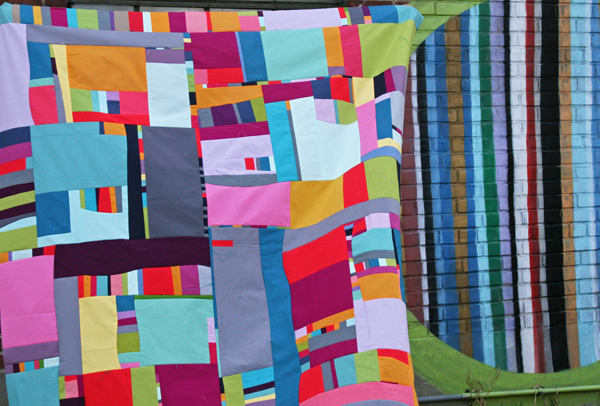 ALL your quilts are stunning, BTW, and I can’t pick just one to start with! Good luck! Voting for Timbrr so you have it for the holidays for snuggling. I am so shocked that it’s not finished. I didn’t even notice that when I made one almost just like it last year! My brother and sister-in-law received it for Christmas. It was the 2nd one I’ve made from that pattern. Are you interested in selling the FMF on point?!?!!?!! I have been drooling, no dying, over it since you first shared it. I would even buy the unfinished top. Please??? 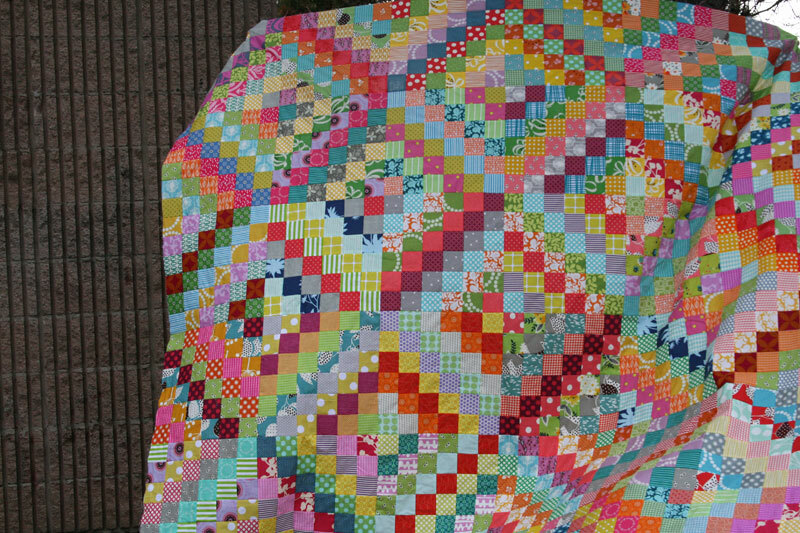 my favourites from your unfinished quilts: Flea Market Fancy Swoon, Half Squared, FMF on point. I would start with these first. 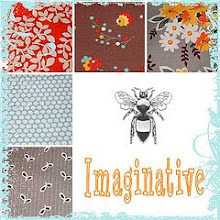 I love them all and would love to see them quilted. The pink and gray improve and flea market fancy swoon are my favorite. Fold them and put them in dark bags. Then pull one out randomly and finish. I would agonize over which to do first. I just inherited 6 WIP from my children’s great grandmother. I am at a loss as to where to begin. Voting for FMF! Simple yet so beautiful!